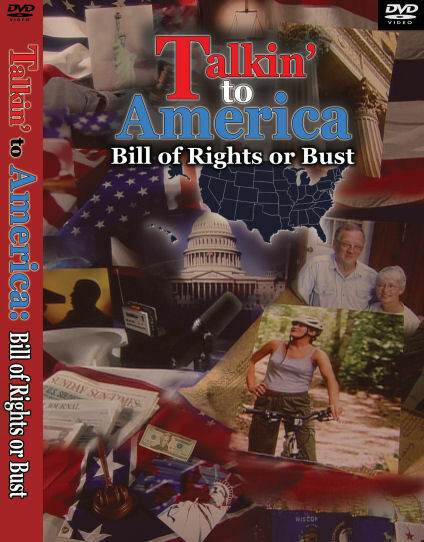 "There is nothing more important than teaching Americans about the Bill of Rights, and the visual power of film makes [Bill of Rights or Bust] an entertaining vehicle for that lesson. [It] should be required viewing in our schools. " 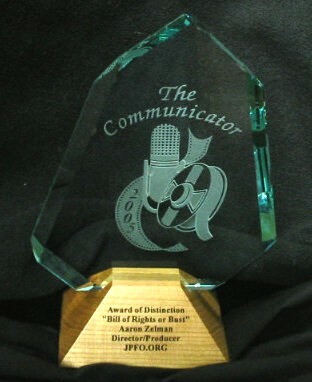 Our groundbreaking film Bill of Rights or Bust has received an Award of Distinction in the 2005 Video Competition of the Communicator Awards, an international competition honoring excellence in communication. It's an honor for us, but we couldn't have done it without your tireless support. With the recent renewal of the Patriot Act for years in to the future, it is more important than ever for people to understand the Bill of Rights. Don't hesitate to show this important film to everyone you know. All Prices Include Postage to U.S. Addresses.